When looking into adding a new, or additional conveyor system to an operation it is imperative to know the major considerations when researching and selecting the right piece of equipment. Every type of metal scrap and shop process is unique, so it is important to prioritize the aspects of a conveyor system most vital to your needs. An effective solution to the specific conveying need. The greatest economy commensurate with reliable operation. Low operating cost and minimum maintenance. Flexibility to meet future needs. The first step toward fulfilling these goals is to clearly identify your needs and relate them to the advantages or disadvantages of the types of conveyors available. Individual situations almost always involve unique characteristics so judgment on the correct identification, based on experience, usually plays an important role. Some of the most important questions to answer when trying to match your scrap with the right conveyor include identifying the type of scrap, size of scrap, volume, die lube amount, and the required conveyor path. In addition, you want to look for a conveyor that is the most reliable-for increased up-time, offers the most flexibility as the facility’s needs change, and offers the most efficient option for increasing the productivity of the operation. The chart on the right relates various types of ferrous and non-ferrous metal scrap to the metal scrap handling conveyors available. It primarily indicates the suitability or unsuitability of a particular conveyor to the materials and conditions listed. You will find, among the more than one hundred situations covered, that more than one type of conveyor can be used in most cases. In practice, when the solution to your need involves more than a short conveyor run, two or more conveyors used in combination often provide the best result. Do your homework. Research and read as many white papers, case studies, and articles you can find on various metal scrap conveyor systems and suppliers. This will help your shop form its own ideas about what decision to make. Many companies can sell you a conveyor, but an experienced supplier will ensure you have the right system for your specific scrap type, goals, and requirements to ensure your project is successful and stays on track from beginning to start-up. 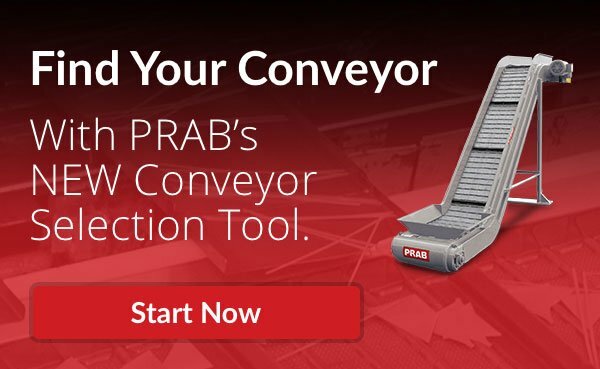 For more information download our conveyor selector guide or contact us today.